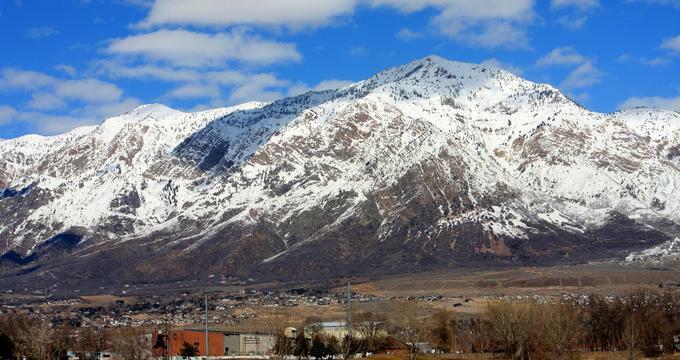 Ogden, Utah is a popular ski destination with easy access to three excellent ski resorts just 20 minutes from downtown. The beautiful mountain town is also home to unique museums and historic attractions. Stroll along Historic 25th Street, visit Hill Aerospace Museum, stop by the Utah State Railroad Museum, and see a play at Peery's Egyptian Theater. 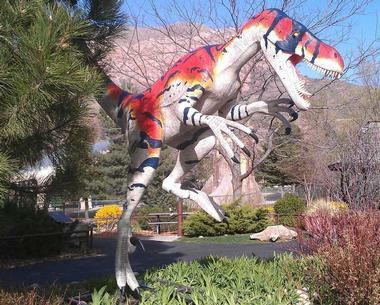 Best things to do in Ogden with kids include Treehouse Children's Museum, the Dinosaur Park, Kangaroo Zoo and the Ogden Nature Center. Hill Aerospace Museum is a U.S. Air Force museum that displays aircraft, equipment, vehicles, and historical memorabilia. Founded in 1981, the museum moved to its current location in 1991 and became the home of the Utah Aviation Hall of Fame in 1996. The large collection of more than 90 aircraft tells the history of aviation and is divided into five exhibits: the Beginnings, World War II, Dawn of the Jet Age, the Cold War, and Keeping the Peace. 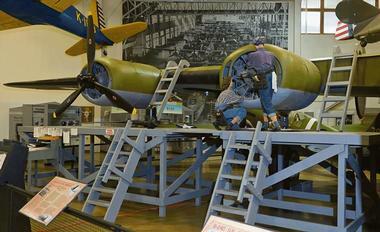 Hill Aerospace Museum is one of the top Ogden attractions. In addition to the exhibits, the museum has a research library and archives as well as the ACE Learning Center, an interactive education center for children. 25th Street Historic District is a historic neighborhood that consists of three blocks on 25th Street from Wall Avenue on the west to Washington Avenue on the east. The history of the district goes back to the opening of Union Station in 1869. It became an important railroad junction and later became known for its many businesses and illegal activities like gambling. It earned its nicknames of Notorious Two Bit Street and Electric Alley during this period. The area was cleaned up in 1954 making way for today’s historic 25th Street with beautiful art galleries, restaurants, and shops. If you are wondering what to do in Ogden, Utah today, this is a great place to start exploring. The district hosts events such as car shows, musical performances and a farmers’ market. 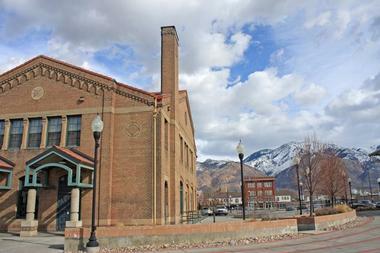 The Utah State Railroad Museum is dedicated to showing visitors the construction of the transcontinental railroad. The entrance to the museum is made up of timbers that were used to build the Lucin Cutoff across the Great Salt Lake. The museum contains many artifacts, displays and interactive exhibits. 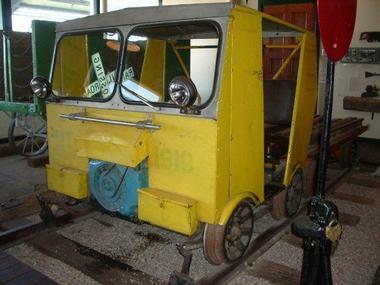 The Operation Lifesaver Exhibit teaches children railroad crossing safety while the Maintenance of Way Exhibit includes a locomotive cab, a rail handcar, and equipment used to maintain railway tracks. The Wattis-Dumke Model Railroad recreates the local area in miniature and includes a model of Union Station and 25th Street. Set on five acres, the Dinosaur Park and Museum features more than 100 full-sized dinosaur replicas and a museum with hands-on activities. The dinosaur replicas are sculptures based on actual fossil skeletons and are activated by robotics and a sound system. Some of the dinosaurs include a Ceratosaurus, a Parasaurolophus, a Triceratops, and a 45 foot long Tyrannosaurus Rex, the most popular dinosaur in the park. In addition to the dinosaurs, there is an education center as well as the Elizabeth Dee Shaw Stewart Museum. The park is a popular place for children’s birthday parties. Peery’s Egyptian Theater is a historic movie palace located on Washington Boulevard in Ogden. Built between 1923 and 1924 and influenced by Grauman’s Egyptian Theatre in Hollywood, the theater was built as an Egyptian-themed movie palace. The theater was constructed on the grounds of the Arlington Hotel which had burned in 1923. Remodeled in 1961, the theater was slated for demolition but was saved and restored. 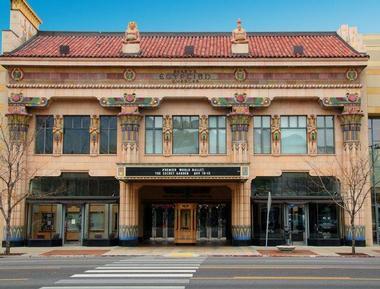 It re-opened in 1997 as more than just a movie house, but also as a community theater and performing arts house. In 2004 a Wurlitzer pipe organ was added. The 800 seat theater presents classical plays, musicals, and annual Christmas performances of the Nutcracker Ballet. 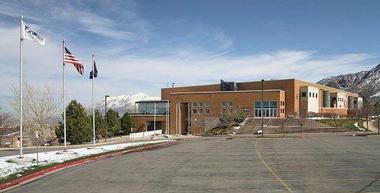 The Ice Sheet is an ice skating facility located on Harrison Boulevard on the campus of Weber State University. Built between 1992 and 1994, the Ice Sheet opened in 1994 as a training center for curling, figure skating, and ice hockey. With a seating capacity of 2,000, the Ice Sheet hosted the curling events during the 2002 Winter Olympics. 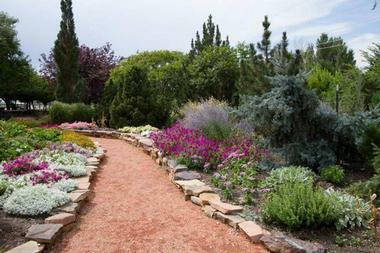 The 11-acre Ogden Botanical Gardens are located on Monroe Boulevard along the Ogden River. Founded in 1994, the public garden is divided into many different areas. The Entryway Garden features five large pergolas and a water feature. Next to this garden is the cottage garden which is made up of one acre of perennials and shrubs typical of an informal English garden. 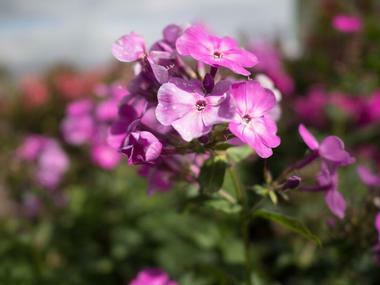 The Water-wise Perennial Garden is planted with colorful perennials that require little water. Other gardens include the Four-Seasons Garden, the Collections Garden, the Oriental Garden, the Rose Garden, and many more. Other facilities include pavilions and shelters, picnic and grilling areas, an amphitheater, and an education building. 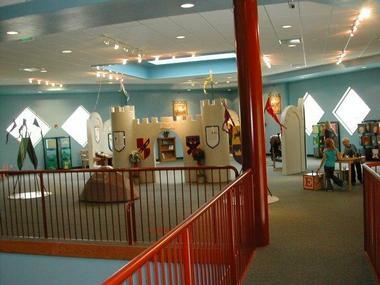 Treehouse Children's Museum is a reading-oriented museum featuring hands-on activities and exhibits that focus on the arts, humanities and children’s literature. Some of its exhibits include Dinosaurs: Land of Fire and Ice, Jack’s Fairy Tale Diner, One World Village, Oval Office, Pioneer School House, and the Utah Heritage Rodeo exhibit. There are daily programs such as Art Garden Activities and Step on Stage; family literacy programs like Alphabet Soup and On Track to Reading; and a Kindergarten Readiness program. Treehouse Troupe is a special event in which professional actors retell fairy tales and traditional folk stories in the Treehouse Theater. Consisting of 152 acres, the Ogden Nature Center is made up of protected areas for wildlife, walking trails, observation towers, tree houses, and bird blinds. There are also live animal exhibits, gardens containing drought resistant plants, ponds, and much more. The center opened in 1975 and was Utah’s first nature center. A 6,000 square foot education building was added to the center in 2003; it was created using green building techniques and was insulated with recycled materials. The center offers classes on environmental topics and nature-based activities and hosts many events. Eccles Community Art Center features rotating exhibits of works by local and regional artists, and a craft gallery. 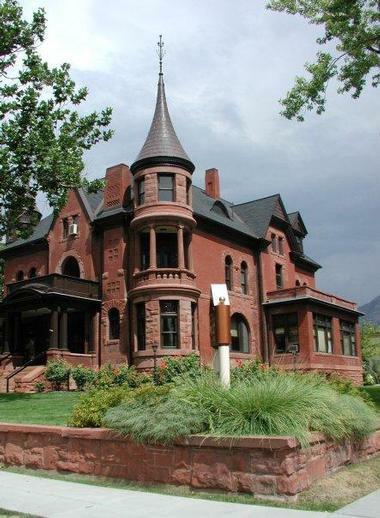 The house where the art center is located was built in 1893 for James Clarence Armstrong but was bought three years later by David and Bertha Eccles. The house is listed on the U.S. National Register of Historic Places. The center’s permanent collection features works by contemporary Northern Utah artists; these can be seen throughout the house as well as sculptures in the garden. The center offers performing and visual art classes and hosts a variety of events throughout the year. 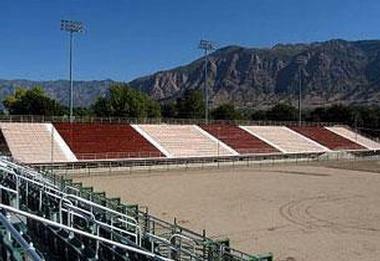 Ogden's Pioneer Stadium is an outdoor arena located on 17th Street next to the Ogden River. With a capacity to accommodate 12,000 people, the arena is the home of the Ogden Pioneer Days Rodeo which is held every year towards the end of July. In the past, the arena hosted events such as junior and senior high school marching band competitions and football games. Today, the arena provides a venue for a wide range of entertaining events such as barrel racing, boxing matches, car shows, demolition derbies, and mixed martial arts competitions. Ogden Rodeo Cabin is a traditional log cabin that once served as the caretaker’s home and is available for special occasions. Kangaroo Zoo is an indoor playground and party house for children that features a large variety of inflatable animals such as alligators, dinosaurs, elephants, jaguars, killer whales, snakes and tigers. Children enjoy bouncing on the animals and there is also a three story slide. 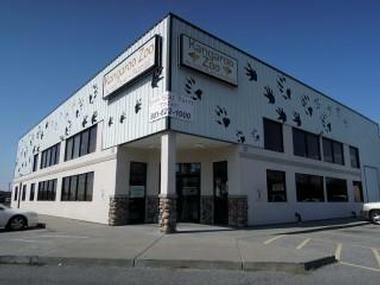 The zoo offers three choices of party rooms. The Balloon Room is decorated in a theme of colorful balloon and happy faces. The Cosmos Room is full of stars, planets, galaxies, and more. The Princess Room has a magical kingdom theme complete with damsels, knights, and toadstools. Waterfall Canyon is a three mile round trip scenic trail that features a 200 foot waterfall, stunning scenery, and an area that provides excellent views of Ogden Valley. The trail takes about two hours to complete and is considered to be of moderate difficulty with a few areas of loose rocks. There are several trailheads but the one that is most often used is at the top of 29th Street in Ogden. 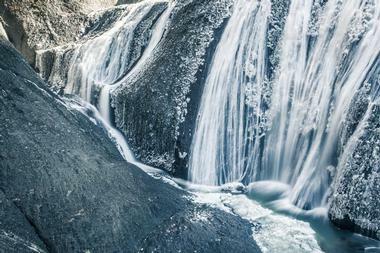 There are several trails in the area, but the trail that leads to the waterfall is the most popular. It is open all year and can be used by bicyclists and hikers. More places to visit: Things to Do in Salt Lake City. With a seating capacity of 6,500 people, the Golden Spike Arena is a multi-purpose arena that hosts local concerts, sporting events, and trade shows. 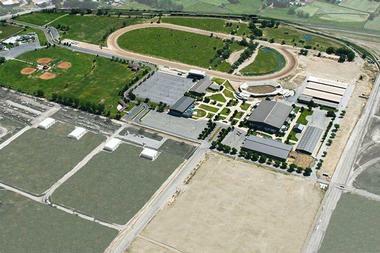 The arena is a part of the Golden Spike Event Center which is a convention and sports complex. Consisting of 18,000 square feet of arena floor space, the Golden Spike Arena features open-span construction. Facilities include six concession stands; a 12,000 square foot Auction Arena with a seating capacity of 350; a 21,000 square foot exhibit hall with concession stands; a 20,000 square foot recreation hall for basketball and volleyball; and more. Fort Buenaventura is an 84 acre Weber County park just west of downtown Ogden. Established in 1846 by trapper Miles Goodyear, the fort represents the first permanent settlement of Europeans in the Great Basin. It was built at a bend in the Weber River and originally served as a trading post for trappers and travelers. In 1847, Mormon settlers bought the fort and the surrounding land and they named it Brownsville. Later it was changed to Ogden after Peter Skene Ogden, a trapper from Weber Valley. Activities in the park include camping, canoeing, and facilities for holding meetings. Cold Springs Trout Farm is a family-owned company that raises fish and offers fishing opportunities to guests. 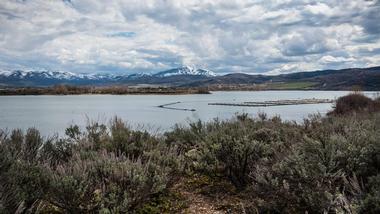 Founded in 1924, the facilities include seven ponds stocked with rainbow trout. The source for the cold water are Rocky Mountain springs at the base of the Cold Water Canyon. The company hatches eggs from Brook, Brown, Rainbow, and Tiger trout and delivers them to local farms, lakes and ponds. 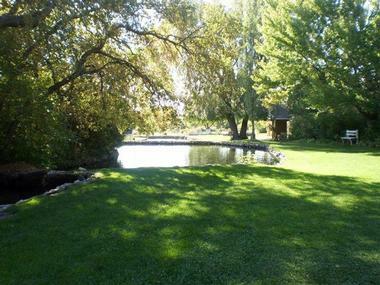 The fly-fishing pond is a catch and release pond that is stocked with several varieties of trout. Year round fly-fishing is possible because the constant flow of water prevents the pond from freezing over.